Queen Ifrica’s Biography Queen Ifrica, born Ventrice Morgan, began her career in 1995 after entering and winning a local talent contest in her hometown Montego Bay, Jamaica. 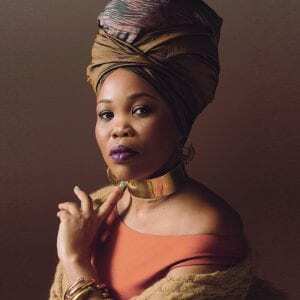 As a self-taught musician, Queen Ifrica, who is the daughter of renowned ska legend, Derick Morgan, was inspired by the positive music of; Nyabinghi, Jazz, Reggae and a variety of genres. Her hard work in the music industry led to a record deal with VP Records in 2009, continuing her musical rise. With roots firmly secured in the Rastafarian faith, she blossomed as one of the top cultural artists in reggae, swarming the airwaves with hits like “Daddy”, “Times Like These” (1.2Mm), “Far Away” (1.6M), “Randy”, “Below the Waist”, “Lioness on the Rise”, “Naw Rub” and more, from her extensive catalogue. Her most recently released album “Climb” debuted at number one on the Billboard Reggae charts in 2017 and includes the singles “Trueversation” featuring Damian “Jr.Gong” Marley, “Climb” and “Black Woman,” to name a few. As a seasoned performer, Queen Ifrica has graced the stages of major music festivals and shows in Jamaica and around the world including; the esteemed Reggae Sumfest, Sting, and Rebel Salute in Jamaica, Summer Jam in Germany, Madison Square Gardens performance in New York, Barbados music festival, Reggae on the River in California, Ras Kill Music Festival, Reggae Sundance Festival in Holland, Sierra Nevada World Music Festival and Winnie Mandela’s 80th Birthday party in South Africa, among others. Queen Ifrica has used her stage as a platform for advocacy and change with a significant amount of her performances done in aid of charities. She is known for being an active community leader, involved in several outreach programs, especially for children. Her devotion to this cause led to The Office of the Children’s Advocate appointing her as a child ambassador and she continues to dedicate her time to inner-city projects to empower the youth and young girls in particular. For 2018, Queen Ifrica continues to work on new uplifting music, with her latest single “Cease all war,” produced on the Troyton Music Label. She is also in the process of completing her “Black Woman,” video dedicated to women of the world.